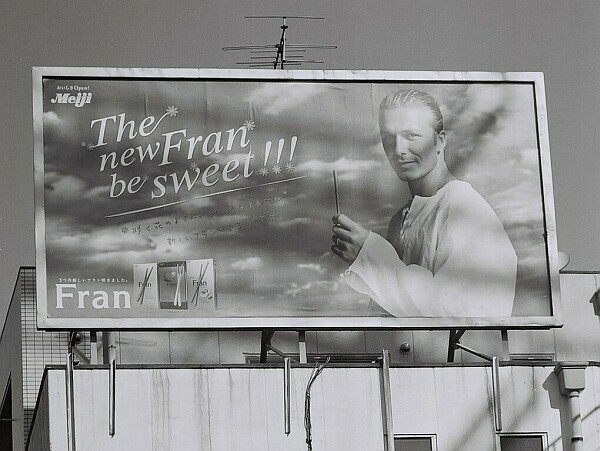 Yes, the new Fran be sweet. 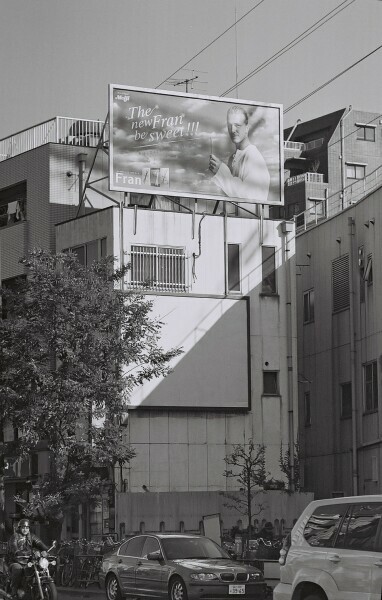 Fran's a chocolate coated biscuit produced by Meiji Seika. Since it's a chocolate coated biscuit, you might expect that it would be sweet, but there can be no harm in having expert confirmation. And wait, who is the gentleman who is reassuring us? Why, it's David "Vodafone" Beckham! Click that for a larger version, on which the following Japanese-language addition is perhaps discernible: Saku hana no yō ni. Pīsu na ippon da ne! Atarashii Furan yoroshiku desu. Or, "Like a blooming flower. It's a stick of peace! 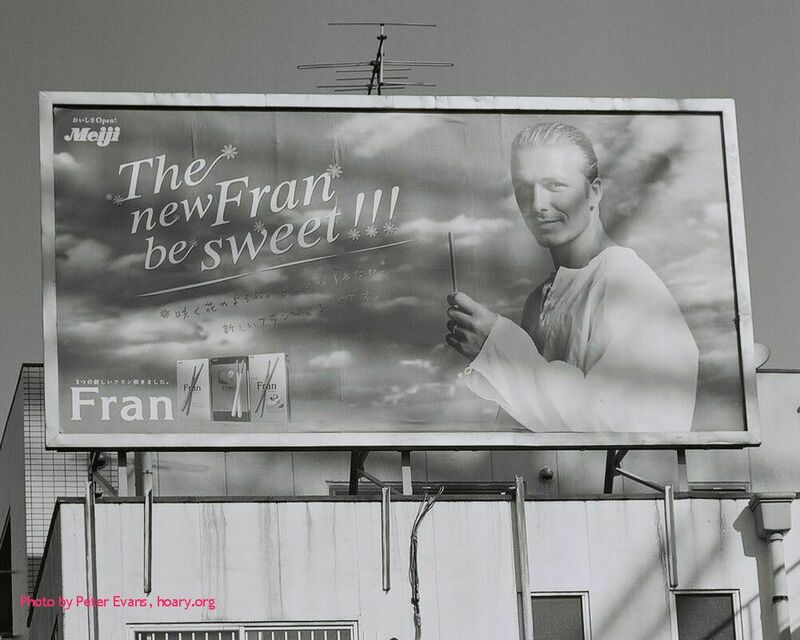 Have a new Fran." What with the blimmin' flower, perhaps that's not the smoothest translation. Perhaps more faithfully to the spirit of the original: "Wow, like a flower. It's a choccie of peace! Have a new Fran, man." Any comments? Corrections? Chocolate chip cookies? Write to me (Peter Evans), or tell the whole world. Photos taken by me, using a camera and a lens. First sellotaped together on 21 December 2003. Last fiddled with on 22 December 2003. Damn, the photos appeared to be black, grey and white when I viewed them via and uploaded them from my 'Doze laptop; my SuSEbox now shows me that there's no white. Time permitting, some photoshopping will follow.